Click on the links to learn more. As with our other packs you can choose to buy one or if you buy three packs you will save 10% just choose the option from the drop down menu on the product page. These are super for all kinds of settings from present day to near future to post apocalypse, horror gaming and Zombie Survival too. They are about 20mm to 25mm wide or long. Here is a scale shot with a HOF miniature. The Salute 2014 code is in effect so you can get 15% off all orders using a special code. You can also choose to collect your order from us at the show and save on the postage. Go HERE for the details and code. 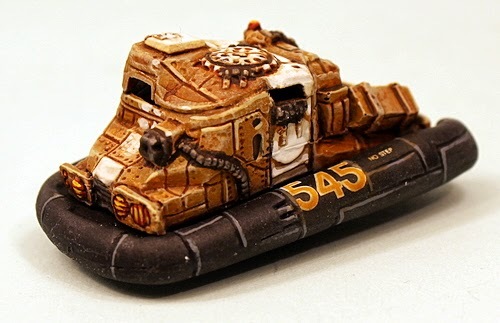 Back before the full release of Loud Ninja Games products onto 15mm.co.uk I told you all in a blog post that we would be taking over the production of the resin RAP008 Sirrus APC and making it ourselves here in the UK. 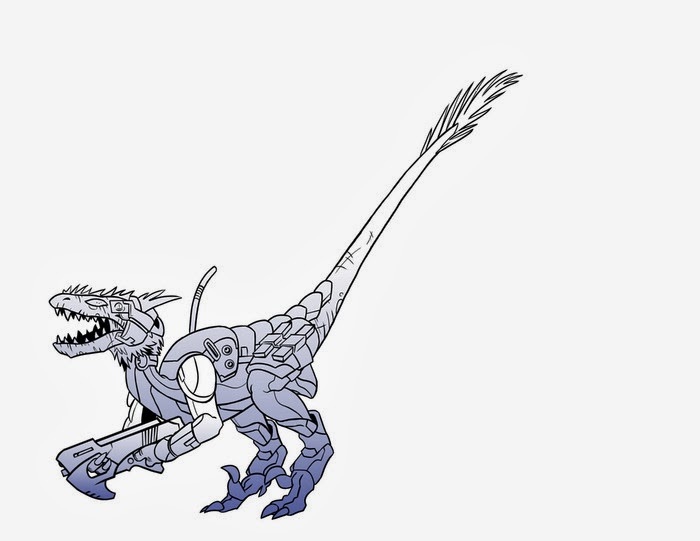 This would be alongside all of the white metal Space Raptors. Well we have! 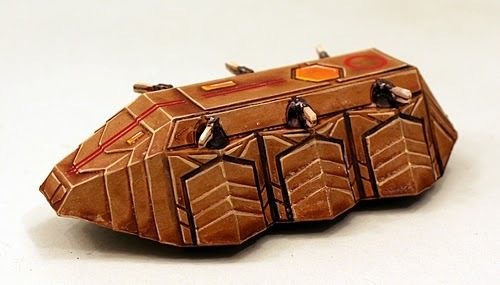 Although we have actually been shipping out the Sirrus in orders for two weeks now it was only this weekend that we got a painted up version ready. This is to my knowledge the first painted example on the internet anywhere so please enjoy. 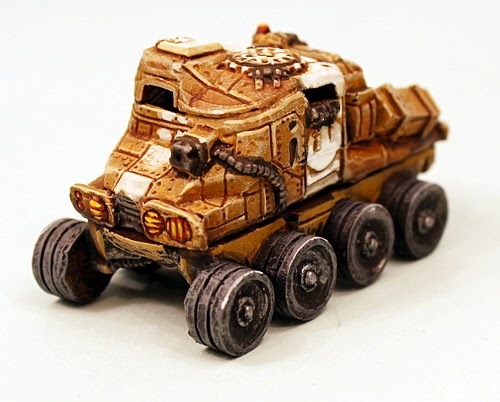 This is a lovely vehicle and aside from being supplied with six white metal guns (the kickstarter featured resin guns) its exactly the same as that vehicle. 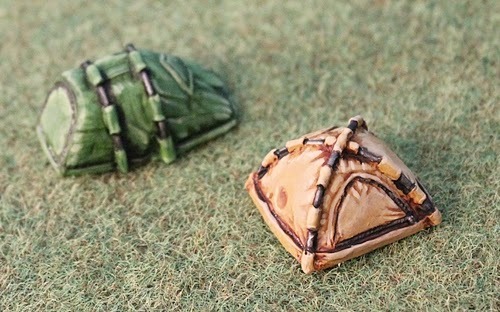 As with the rest of the Loud Ninja Games products there is a value bundle platoon pack of these. Check it out! 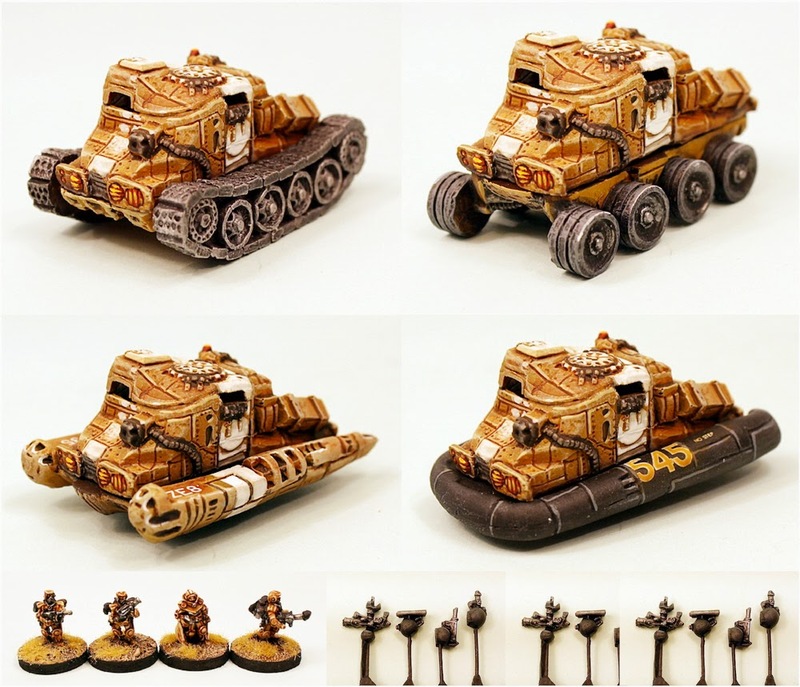 Laserburn V008 Glaive and V009 Imperial Scout Car all varients released! 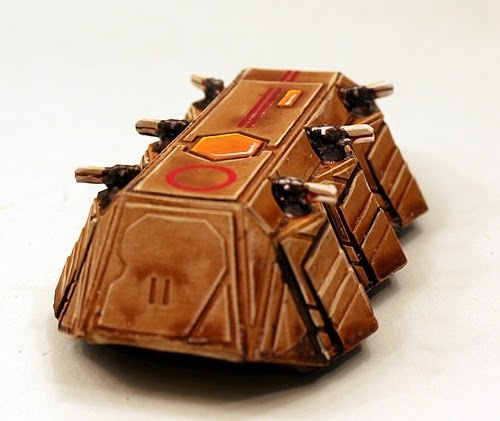 The V008 Glaive and V009 Imperial Scout Car! Its time for another re-mastered re-release for the Laserburn 15mm science fiction classic range at 15mm.co.uk and what a massive one it is. 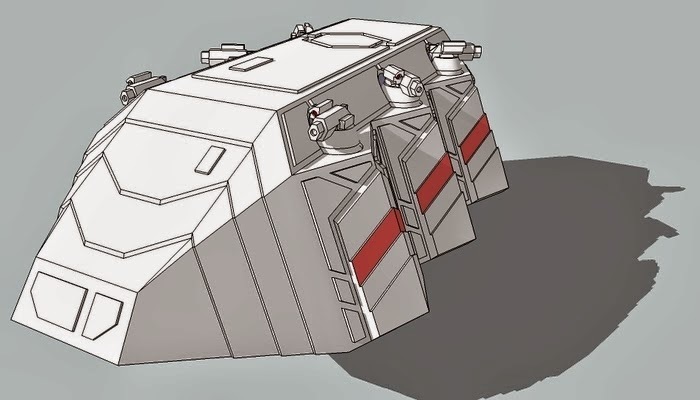 Some might say its the most eagerly anticipated vehicle release possible for Laserburn as it means that once more from the dim distance of the 1980's the V008 Glaive APC and the V009 Imperial Scout Car are both back in production! 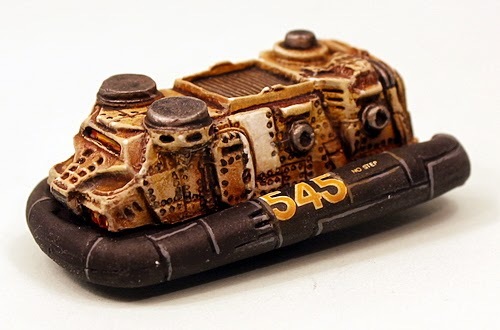 Re-Mastered into high quality grey tone resin (and new white metal molds) these vehicles can now be bought with a choice of four, yes four, different means of propulsion. 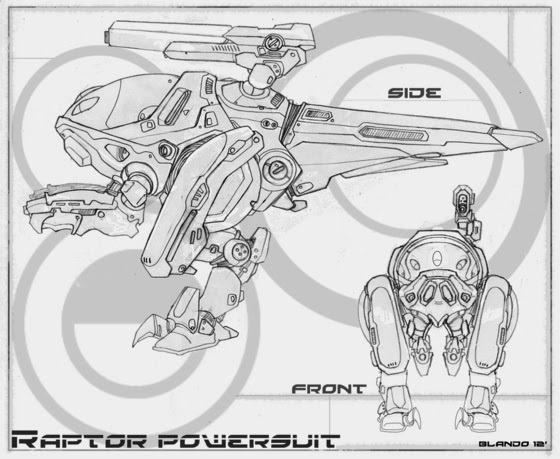 The options are Tracked, Hover, Wheeled and Anti-Gravity meaning you can tailor your forces to suit your campaign. These propulsion options are open to the Glaive and the Imperial Scout Car. Click on the links below to be taken to each of the vehicles or just click the main link for the Laserburn Page to scroll through them. Each vehicle is priced at 5.00GBP and just like our other products you have the choice of buying three and saving 10% off regular prices (just choose that from the drop menu on the page). The RT Robo Turrets work well with all the vehicles for added customisation of payloads. But that is not all. We have had more than a hundred messages asking for a bundle offer on the Glaive and the Imperial Scout Car and we love nothing more than a bundle so we have created two of them. 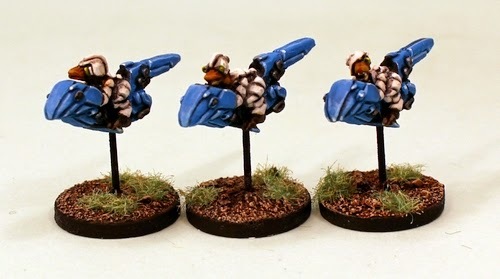 Each bundle gives you five vehicles (you choose from the drop down menu your preferred propulsion type) and three sprues of four Robo-Turrets (12) and a squad of four Imperial Scout miniatures free. This means an 18% saving (5.80GBP) off separate purchase and gives you a full starter platoon of vehicles for only 25.00GBP. Click on the links below to visit the bundles or go to our deals and offers page to see the latest there. 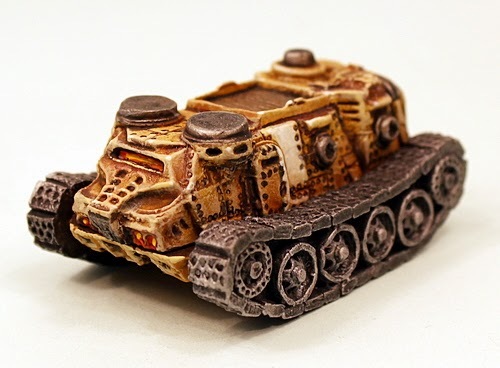 Its great to see the Glaive APC and the Imperial Scout Car back in full production in this new medium of resin. 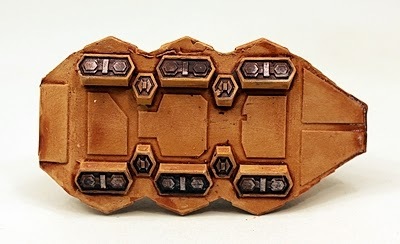 New life and a new purpose for some of the most venerable 15mm there is for science fiction fans. 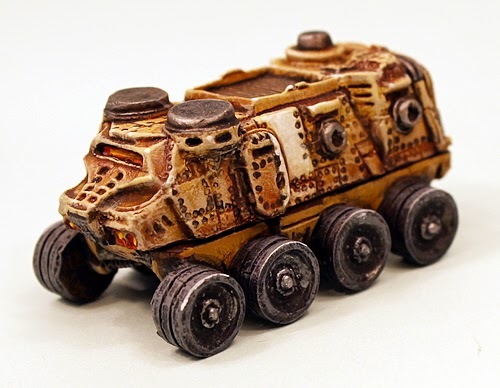 These vehicles are quite unlike those being modelled today and are capable of not only far future desperate battles but also a post apocolypse setting or being given to more savage alien races. Remember that you can get 15% off all orders using our special Salute code (until 14th April 2014) and have the option of collecting your order from us on the day at Salute if you wish. Go to our blog post for full details and the code HERE. 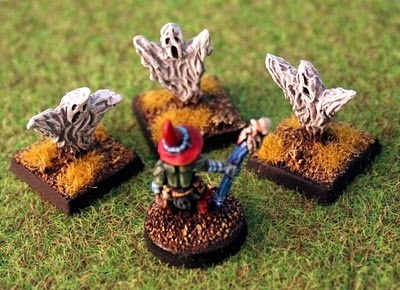 Its that time of year again and 15mm.co.uk is making its annual convention series of offers! 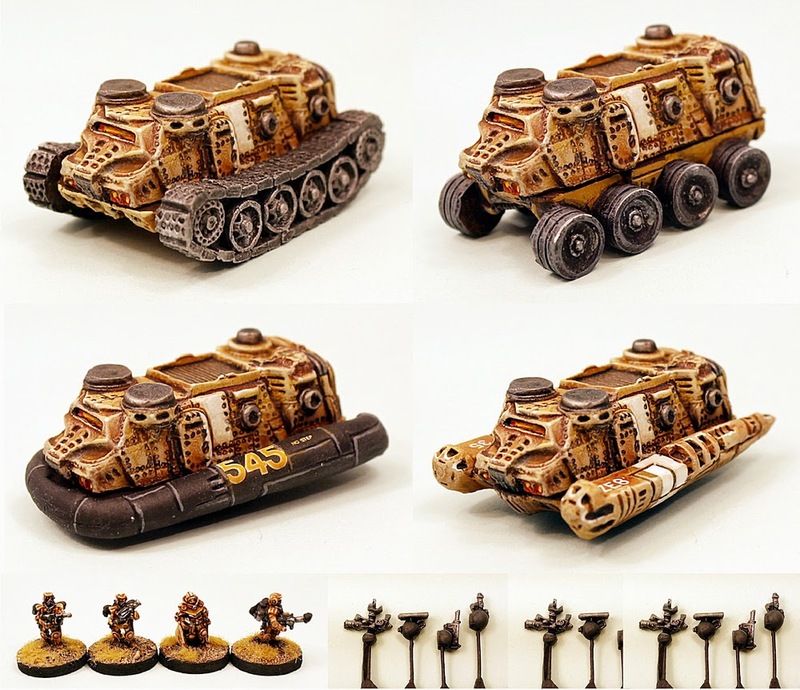 We will be attending Salute 2014 at Excel in London on Saturday the 12th of April 2014 as part of Alternative Armies trade stand. 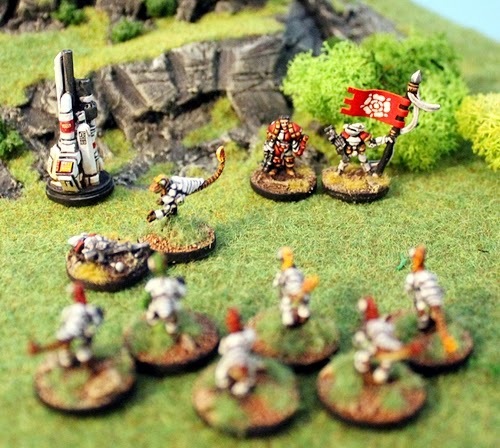 Alternative Armies trade stand is TF07 and our theme this year is 'The Ion Age - 15mm Science Fiction'. 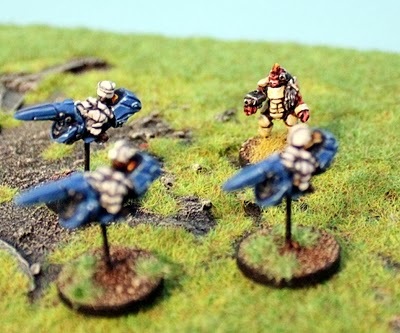 Our sister websites Alternative Armies and The Ion Age also have promotions running and are on our trade stand. The Ion Age theme means that we will not be bringing any of our other ranges this year, that means no Flintloque and Slaughterloo or High Fantasy from Alternative Armies. No 15mm Fantasy or 15mm Historicals or Science Fiction (but the latest HOF 15mm Science Fiction will be there) from 15mm.co.uk. 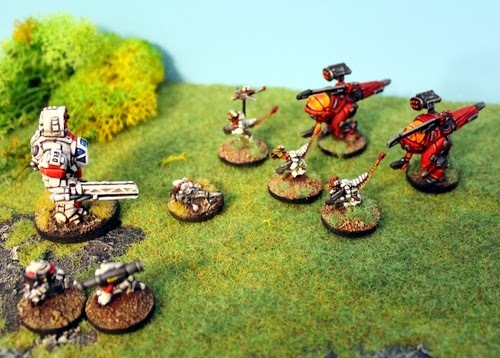 The products at stand TF07 on the day will be entirely 15mm Ion Age range (miniatures, resin, terrain and books). To that end we are offering a code to get 15% off any and all online orders with us valid until Monday 14th April 2014. This offer is open to all customers across the world. If you are not attending then use it! If you are attending then use it! As before we have the option to 'collect at salute' if you are attending which will save you the postage charge too. 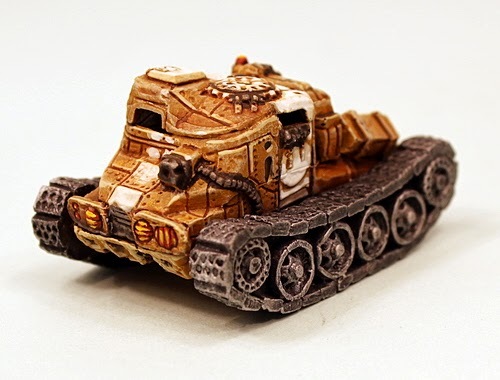 If you choose to collect in person then, regardless if its from Alternative Armies or 15mm.co.uk or The Ion Age your package will be waiting for you with your name on it at Stand TF07, ask for it by name. Use the code 'salute01' as it appears here during the checkout process on page two of the process (that is after you enter your payment details) on same page page as your postage choice in the DISCOUNT box and your product total will automatically reduce 15% on screen. Choose Collect at Salute if you are coming on the day and save the postage too. Attending or Not Attending use The Code! Go along to our other websites where they are offering 15% off all orders and collection on the day too. You can learn more about promo codes on this page of our website. The discount code can be used to save on all of these new releases. 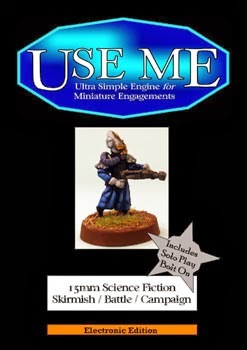 Two new HOF Codes created for use with Alien Squad Leader 2.0 or if you prefer any other 15mm game system such as USEME. 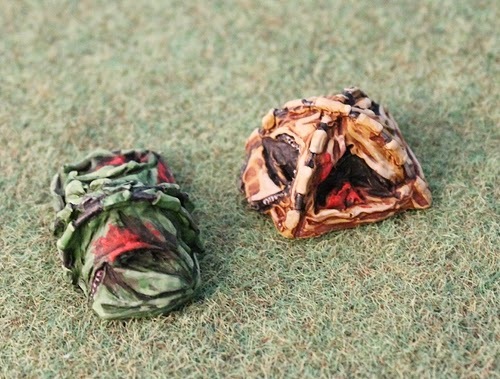 We will be having an introductory offer on them so not to worry! 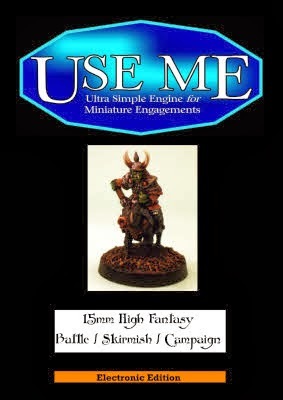 SHM Range now over a hundred different miniatures! 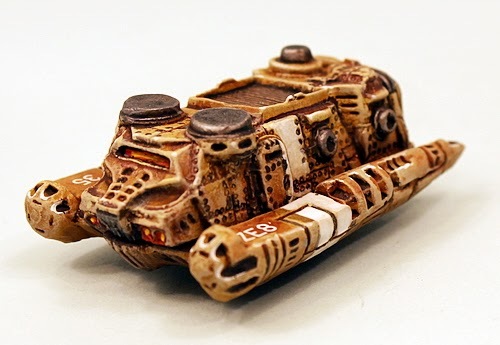 Back in 2009 when I had the idea for the SHM Range to add it to 15mm.co.uk I did not think that it would ever have over a hundred new designs to its name but with the release of the new 15mm Prang a couple of weeks ago it now does! This total includes all of the SHM codes themselves in both fantasy and science fiction but also the whole Star Viking range that is classed in the wider sense as part of SHM with its space dwarves, space orcs and space warriors. I was going to announce this a while back but I decided to hold back and ask if I could mark it in some way. So now we can! Two special announcements that apply to the SHM Range. Firstly you can get 15% off your orders for any miniatures from the range with use of the promo code valid until 14th April 2014. You can get the code and full details HERE. Secondly I have gotten authorisation to make SHM01 Snake Alien, the very first miniature in the range, half price for the next couple of weeks. That means its 50% off and you can use the promotional offer code on this too...heck its virtually free at that point! Go along to our deals and offers page. The migration period of 15mm.co.uk is now complete as the collection of all the USEME Series of titles as paid for downloads has moved over onto this very blog. That's right you can purchase any of the current twelve (with three more in the works) USEME titles as printed books on the website or on this blog as purpose designed PDF's. Purpose designed and only 5.00USD by paypal direct from the link with the whale (to our online partner Oronjo) with instant pay and download. I take a lot of pride in these downloaded versions of the printed books as I have said before. Some companies just convert and publish from print but not us, no. I took the time and our PDF folders contain a fully linked up, laid out version taken from print but also a separate 'ease print' version with all images removed if you are short on home ink. Plus separate colour covers. Suits all comers this way. So far we have sold more than a thousand USEME downloads and I hope to see many more. 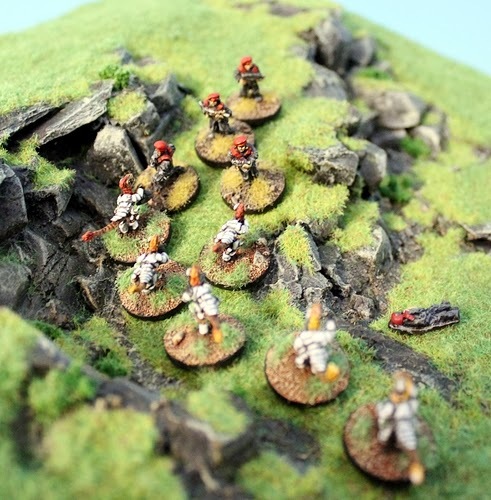 Excellent value and excellent feedback too from wargamers. 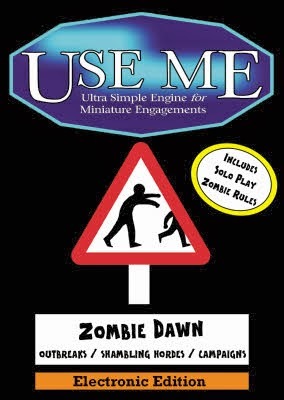 Here is the current list of the print and download titles for USEME. Something for a great many different wargamers here and all of them using a couple of D6 and taking only minutes to learn. Let us shake your hands across the Atlantic Ocean. 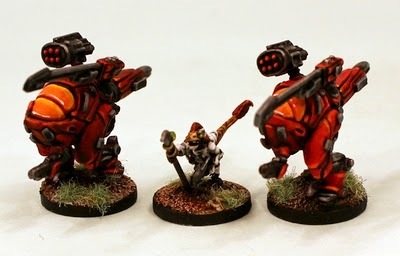 These are great miniatures and an awesome idea. 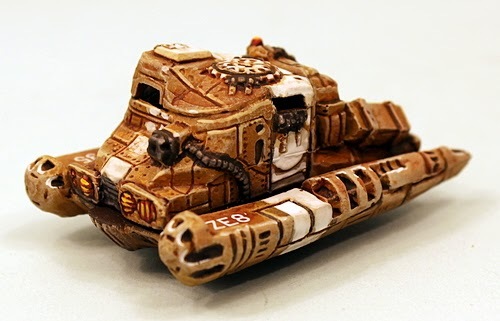 Here is to something really original in the science fiction wargaming industry that would not have existed without a lot of effort from all of us and the loyalty of fans. 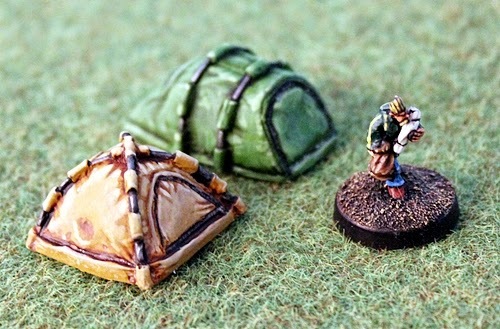 Welcome Loud Ninja Games from all of us here at 15mm.co.uk. Welcome to the family. Now its time to set the Chuhuac loose upon the whole world! 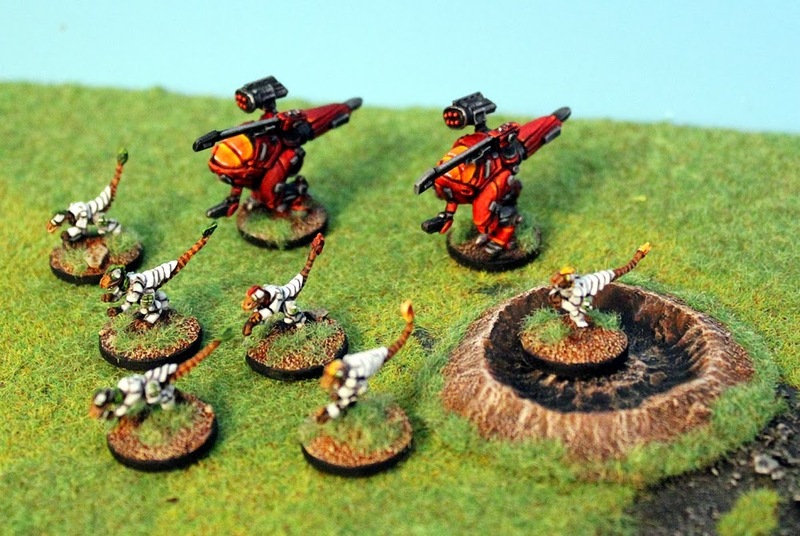 Visit the Loud Ninja Games page on 15mm.co.uk to see all of the codes and value packs too. HERE. 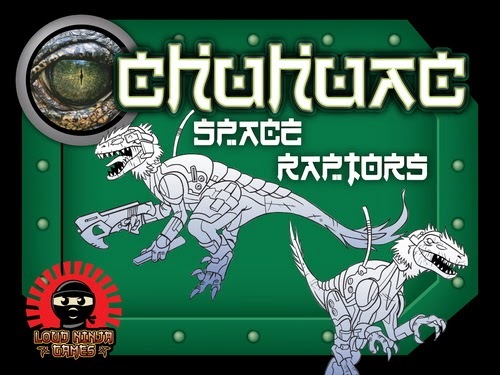 Want to know more about the origins of the Chuhuac Space Raptors and Loud Ninja Games. HERE. 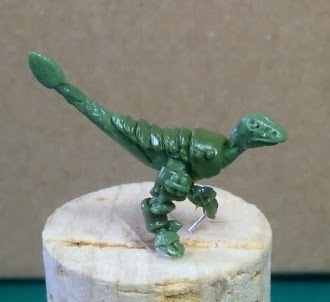 Want to see Space Raptors in combat with miniatures from 15mm.co.uk and from The Ion Age. HERE. Been a long time coming but today is the day...March 10th 2014. All packs and codes released! Have a look and pick up what you want but watch your fingers and be careful they bite! This blog post is a round up of the original pages of the Lound Ninja Games Kickstarter which ended on the 9th of November 2012. 15mm.co.uk supplies these miniatures and models and we thought it would be nice for those who came to the Space Raptors later on to be able to read what was said back at the start. Visit LNG on its page on our website or their blog directly. See them in action on this blog here. 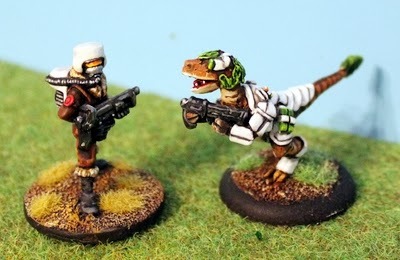 A range of 15mm scale science fiction miniatures depicting high-tech dinosaur aliens. Resembling the Dromaeosaurs of the Earth's prehistoric past, the Chuhuac are a species of warm-blooded saurian aliens hailing from the world of Sherawl. The name Chuhuac is a simplification in the common language of the greater galactic community, the actual tonal and vocal pronunciation being a distinctly saurian sound with avian overtones. Properly pronounced, the species name sound something like, "CHOO-Hwaaaaa-k-k-k". The word starts with a low, guttural chuffing sound that trails into a low keyed whistle and ends with a three beat clucking/clicking sound in the back of the throat. The exact origins of the Chuhuac are unknown, even to the species themselves. According to their historians, they were "nested" upon their home world of Sherawl by a great Star Mother who laid her celestial eggs on the world where she would watch over them until they hatched and then disappear into the stars. This myth and archaeological evidence would indicate that the species is not native to the planet but rather was seeded or came to the world of their own volition eons ago. Examinations of the archaeological evidence indicates that at the time of the first signs of culture on the planet, the technology level of the world was actually much higher than it currently is but, declined suddenly and then had to work its way back to its current level. Culture also seems to have dwindled and then rekindled itself, suggesting that perhaps the Chuhuac did indeed come from some other place but for whatever reason were not able to maintain a society. 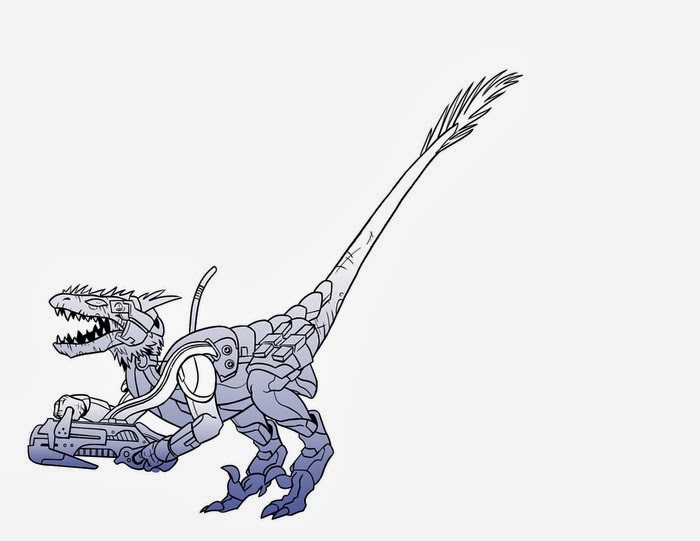 The history of this saurian species mirrors that of most intelligent species with the notable exception that occasional bursts in the species' development occurred as bits and pieces of ancient technologies were recovered from the various ruins of their ancestors. Discovery, war, famine, enlightenment and near apocalypse are recurring themes throughout the thousands of years of continuous growth from their clouded past. Dating technology indicates that Chuhuac habitation on Sherawl may date back tens of thousands of years farther than their recorded history. Unfortunately none of the artifacts recovered from the original "nesting" sights has revealed any definitive data on where they came from or why they came to the planet or even if it was their intended destination. The modern Chuhuac are an advanced culture with high level of technology that includes a mastery of nanotechnology, artificial intelligence, intergalactic travel and a host of other sophisticated sciences. 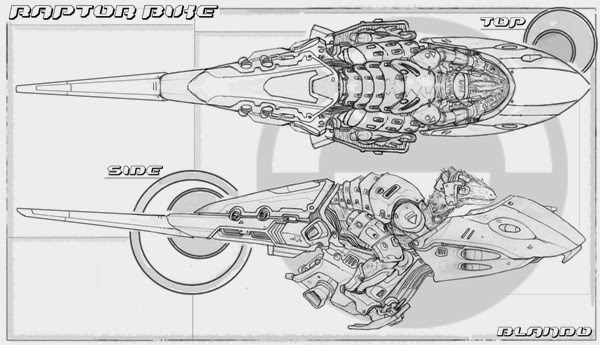 A part of the greater galactic community, the Chuhuac possess energy weapons as well as force field technologies and have vehicles that use gravitic drives both in military and civilian applications. Though they do trade with other species, these saurians are mostly insular and distrustful of outsiders. This has led to more than one conflict with neighboring systems including a nearby collection of systems populated by various saurian species known to the Chuhuac as "The Prey Worlds", a name that is accurately indicates the relationship between the Sherawl and these other worlds. 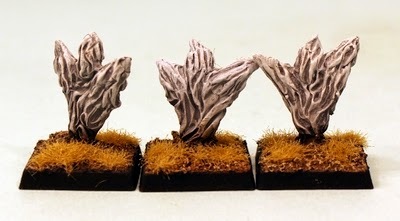 Loud Ninja Games is a new miniatures company that I decided to start to bring out some amazing ideas that have been trapped in the recesses of my imagination for years. 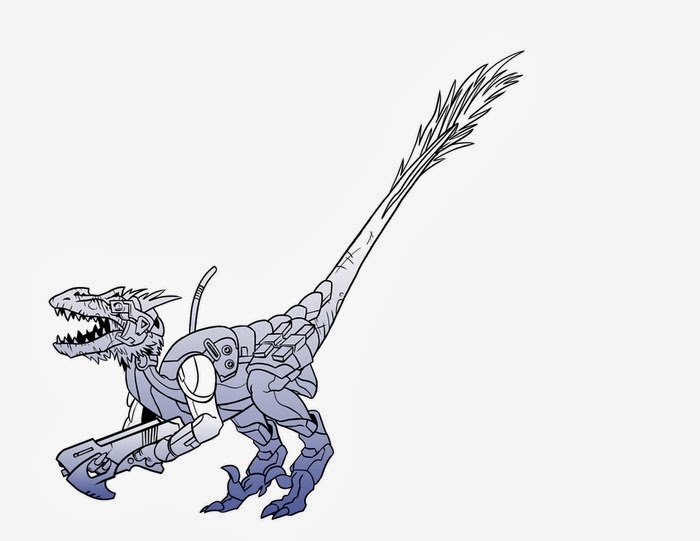 To kick off the company I chose to run with one of my oldest and most dear concepts - science fiction Velociraptor style aliens. These "Space Raptors" have been a dream of mine for over a decade now. 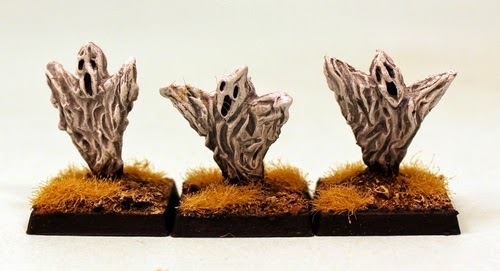 I had doodled them, thought about them, planned them, even used them in role-playing games and so it only seemed natural that, when I decided to start my own miniatures line, they be the flagship release. 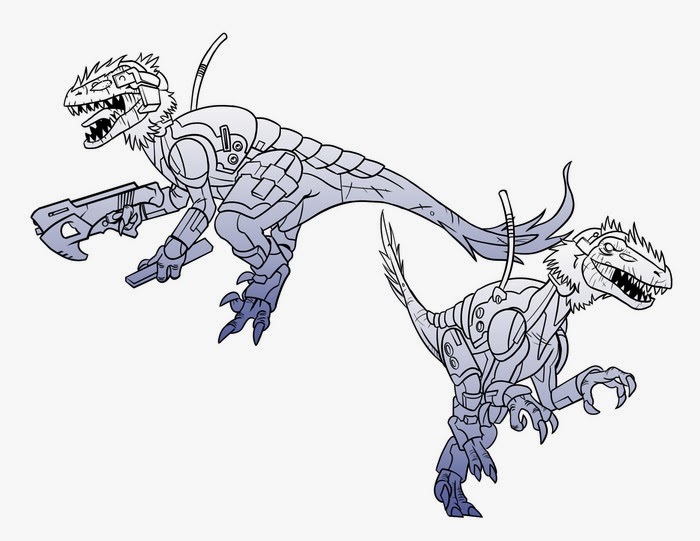 When it comes down to it, how can you not love the idea of one of prehistory's most efficient and thrilling predators, tricked out with armor, guns, gear and zooming through the cosmos. 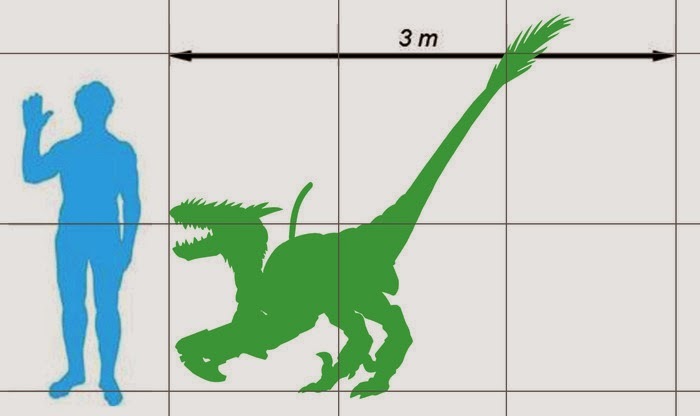 What is more evocative than the image of armored raptor warriors darting across the battlefield, raining down a hail of energy bolts from their advanced weapons, eventually closing with their enemies to put them under a sickle claw. 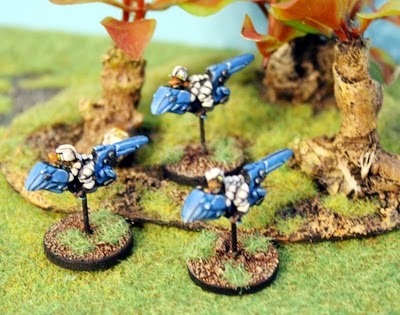 With the infantry taken care of the Space Raptors expanded through strech goals to include Battlesuits, a vehicle and Grav Bikes plus 28mm Space Raptors. 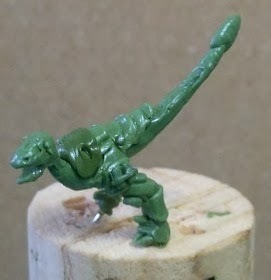 These Loud Ninja Games miniatures are so cool. 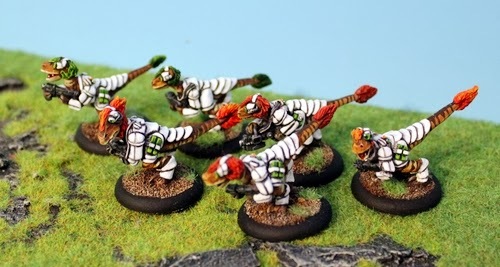 Who could fail to adore Space Raptors for their wargaming. Check them out on the 15mm.co.uk website. But for sure you will want to see what they get up to on the field of battle so here is a little taste of it. Enjoy and look to the captions for what is going on in each image. RAP009 Grav Bikes zoom out of the trees! Ion Age Havelock and Retained vs Chuhuac Raptors and Battlesuits! RAP006 Assault Troopers and RAP007 Battlesuits advance! RAP010 and RAP011 28mm Space Raptor Squad! Makes you feel all scaly eh!